Some of the new features of the free partition manager are that it allows you to convert MBR to GPT and vice versa without experiencing any kind of data loss. You can now make full use of your hard disk space. With hard disk drives getting bigger and bigger, the latest version supports up to 8TB hard disk to meet the growing demands of large capacity hard drive users. There’s also a brand new User Interface in EaseUS Partition Master which improves on the navigation and user experience as a whole. With this free partition manager, you can safely extend an NTFS system partition without having to reboot your PC so you can maximize its performance and avoid unnecessary downtime. You can also use it to safely merge two adjacent partitions and turn it into a single bigger partition without experiencing any kind of data loss. The free partition manager also allows you to convert a dynamic disk to a basic disk and convert from FAT to NTFS file system. Next, you can also convert a primary partition to a logical partition and vice versa. You can easily convert a primary volume to a logical one to create a fifth volume on a disk that already has four existing primary volumes. If you are currently running on a Linux environment, you can easily delete, create, format, recover a EXT2/EXT3 partition without losing any more. Finally, it provides for an easy solution for you to convert MBR to GPT and vice versa. 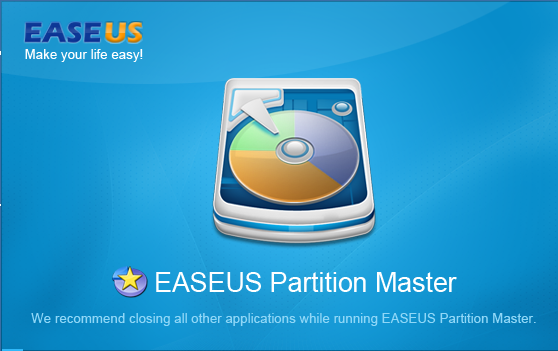 EaseUS Partition Master 10.5 is definitely a leading free partition manager that is out there in the market. You have nothing to lose but everything to gain as you can now easily use it to convert between MBR and GPT formats. All you need to do now is to download and install the application on your machine. Once that is done, you will have lots of options that are available to you. It pretty much depends on how you want to make full use of it.